Is The Exorcist next for a TV adaptation? Get ready for another one of our beloved horror films to head to the land of television. Right now it sounds like there’s heavy interest in getting a TV series based on William Friedkin’s horror classic The Exorcist off the ground. Morgan Creek, who has the rights to the property, is currently shopping the idea around in hopes that it will get picked up by either cable or broadcast networks. While details are slim on the plot itself, we do know Jeremy Slater (Fantastic Four reboot) is penning the adaptation that is said to be an all new take on the material — whatever that’s supposed to mean! They are still currently in the very early stages of development but don’t be surprised if you see this one land a deal shortly. With how well the horror genre has been doing lately on the small screen, now is a better time than ever to try and get this thing made. There will no doubt be plenty of people to write this series off immediately but let’s not forget that people did the same thing for Hannibal and Bates Motel — both of which turned out to be pretty damn good. That’s all the details we’ve got on this project but expect to be hearing a lot more as things roll along. Who know’s which direction Slater plans on taking the series but I’d imagine he’ll keep it modern much like Bates Motel did. Is this what The Conjuring sequel will be about? Good lord, I don’t know about this one. Nothing is safe! Embrace it my friend. It’s a tough one to swallow but ultimately if the show is good, why the hell not? Ultimately if the show is good it will still pale in comparison to the film. This is one horror classic that should remain untouched. 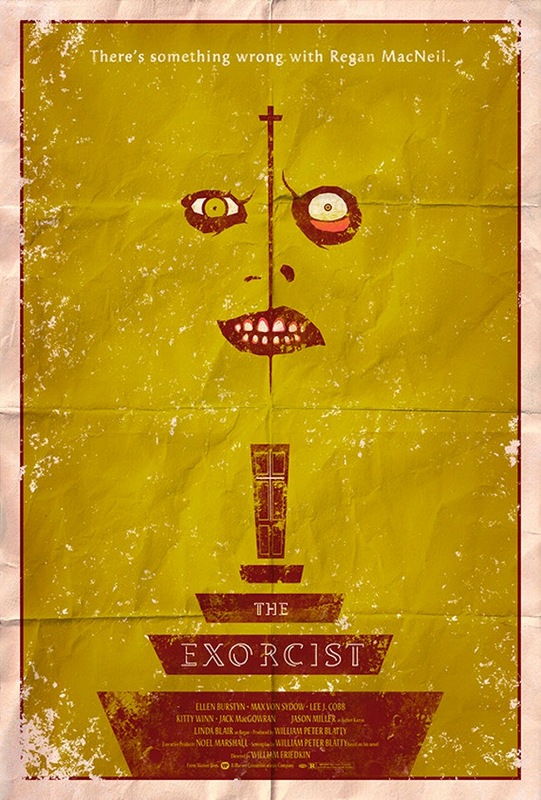 No one has been able to make an exorcism themed movie as good as this for 40 years… unless it has William Peter Blatty’s seal of approval, leave it alone. I still haven’t seen the shot-for-shot remake of Psycho as I’d rather watch the original… same deal for this. Yea that’s understandable. It’s hard to watch these new adaptations without comparing them to the original. I always like to see new visions brought to old stories so I like to give them the benefit of the doubt. After all, the original isn’t going anywhere. Yea, Bates Motel and Hannibal both proved it can be done. Let’s hope this one follows the same trend if it gets made. Can you imagine if Disney started doing animated versions of classic horror films? Take The Silence of the Lambs, for instance; (cheerful Disney narration) “Walt Disney presents The Silence of the Lambs! Starring Jodie Foster as the voice of spunky FBI agent Clarice; Scott Glenn as her grumpy but lovable boss; Anthony Heald as the slimy Dr. Chilton…and Robin Williams as the voice of that wacky cannibal Hannibal Lecter! Hahah! Now that’s something I’d line up to see. Robin Williams as Hannibal? Hell yes!